Hey students! Did you know? You can secure a salary increase early on in your career by achieving dual certification! The two most valuable and respectable accounting certifications are the CPA and the CMA. An impressive resume: Future employers will look very favorably on a potential employee who has demonstrated so much determination and discipline at such a young age. A high level of industry expertise: Your deep knowledge of accounting topics will prepare you for a variety of jobs and enable you to earn widespread respect. 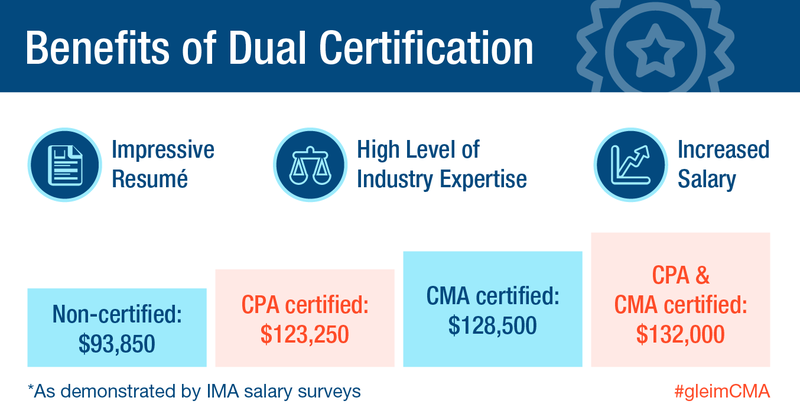 Increased salary: IMA salary surveys prove that both the CMA & CPA certifications can significantly boost your salary. However, you can earn the most money by combining the CMA and the CPA certifications. To secure these certifications, you must pass the CPA and CMA exams. As a student, you are perfectly positioned to pass the CPA and CMA exams due to a number of factors. The educational requirements prove that your time as a student is ideal for preparing for and passing the CMA and CPA exams. CMA Exam Educational Requirement: Candidates are allowed to sit for the CMA exam as a student. Student candidates pay less for the CMA entrance fee and exam fees. The best time to pass the CMA exam is during your junior and senior year of college. While you are allowed to take and pass the CMA exam while in college, you will not be certified until you obtain your bachelor’s degree and meet the experience requirement. However, you have 7 years to do so once you pass the exam. CPA Licensure Educational Requirement: Many state boards require candidates to complete 150 hours to receive the CPA certification. The best time to take the additional finance courses you need to complete this requirement is during your junior year. 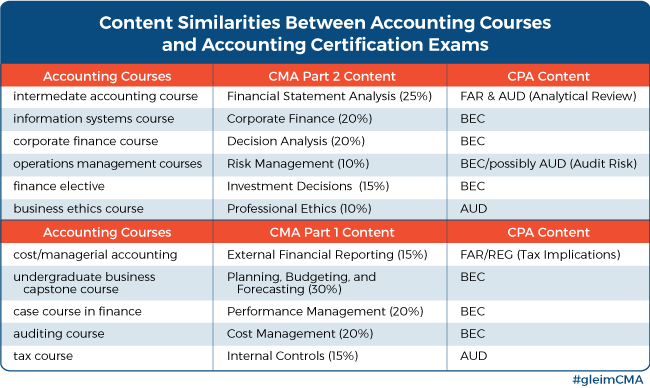 The content of the CMA exam, the CPA Exam, and your accounting courses overlap. Therefore, aligning the progress of your college career with the process of preparing for and sitting for the exams will make passing the exams much easier. Your junior year classes will better prepare you for Part 2 of the CMA exam, and fall semester senior year classes will get you ready for Part 1 by winter break. Your CMA exam studies can significantly shorten your CPA Exam prep due to the content overlap. 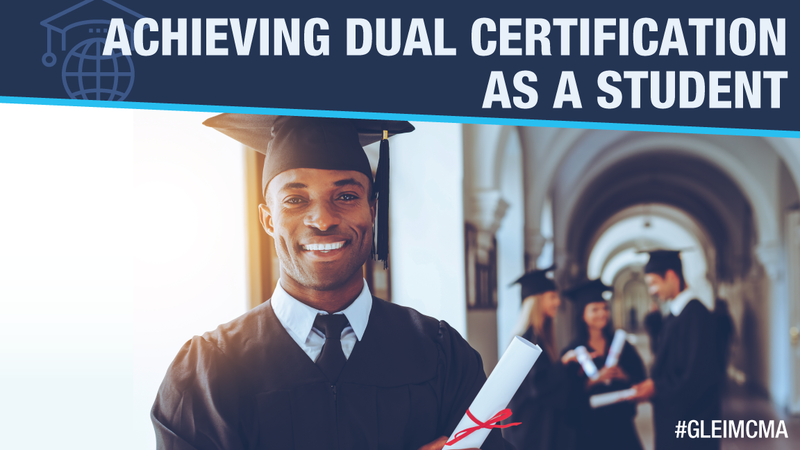 By taking all four CPA Exam sections within 6 months of graduating, you can begin your accounting career with dual certification! 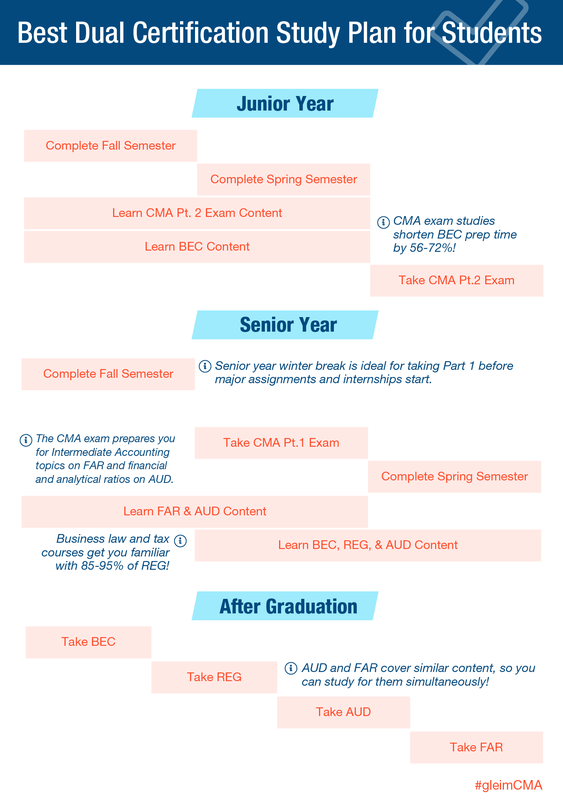 After completing the accounting courses in the fall semester of your junior year, you will be well-prepared for Part 2 of the CMA exam. By the end of your junior year, you should also have completed economics and statistics. These courses are helpful for the BEC section of the CPA Exam, which tests economics and time-value of money concepts. The course work of your senior year fall semester will have you ready for Part 1 by winter break. This is also a good time to sit for Part 1 because major course assignments are usually due later in the semester. You can carve out more time for Part 1 by requesting a late January start date for your internship. The tax course and advanced course you take during the spring semester of your senior year will get you ready to take BEC and REG the summer after graduation. Furthermore, your recent CMA exam studies should shorten your preparation for BEC by 56 – 72%! Taking individual taxation and business entity taxation would also be ideal for your BEC and REG studies. The business law and tax courses you finished during the spring semester of your senior year will also make 85 – 95% of REG sound very familiar. Scheduling a second auditing course during your senior year would be very useful for taking the AUD CPA Exam section. With the content of your auditing and advanced financial courses fresh in your mind, you can prepare for AUD and FAR at the same time, as both test on audit issues like analytical procedures. The CMA review you completed earlier that year will also simplify the study process for passing AUD and FAR in the fall, as the CMA exam will have prepared you for the Intermediate Accounting topics tested on FAR and the financial and analytical ratios covered by AUD. To pass your certification exams, you will need CMA and CPA review courses, and the exceptional coverage of Gleim CMA Review and Gleim CPA Review provides the information you need to pass each exam section on your first try. Our review systems emulate the exams better than any other courses on the market, so you can feel perfectly prepared when you sit for the CPA and CMA exams. Students always save big on CPA and CMA review when you buy Gleim. Take advantage of these student discounts and save 20% now. Just select your state and school and you can get started right away.